Jianming (Jamie) Lian received the B.S. degree with the highest honor from University of Science and Technology of China in 2004. After that, he received the M.S. and the Ph.D. degree in Electrical Engineering from Purdue University, West Lafayette, IN, in 2007 and 2009, respectively. 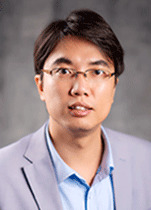 From 2010 to 2011, he worked as a postdoctoral research associate at Center for Advanced Power Systems in Florida State University, Tallahassee, FL, where he was involved in various projects related to the development of future all-electric ship supported by ONR. He is currently a staff engineer in the Advanced Controls group at Pacific Northwest National Laboratory (PNNL). His research interests mainly focus on the application of distributed optimization and control to large-scale complex systems. At PNNL, he has been serving as a project manager, PI/Co-PI and key technical contributor for many research projects in the areas of power grid, building system, and transportation system. In particular, he has been extensively working on the development of the theoretical foundation for the new market-based framework to engage and integrate various distributed energy resources (DERs) into the future distribution management system. He has published more than 45 peer-reviewed journal and conference papers, one book chapter and many technical reports, and has also filed 4 patents.